Smashwords is having a special promotion through July 31, which means this is an opportunity to grab my Clockwork Legion Steampunk novels for 50% off the regular ebook price! In 1876, Sheriff Ramon Morales of Socorro, New Mexico meets a beguiling woman named Fatemeh Karimi of Persia, escaping oppression in her homeland. When an ancient lifeform called Legion comes to Earth, they are pulled into a series of events that will change the history of the world as we know it. In their journeys, Ramon and Fatemeh encounter mad inventors, dangerous outlaws and pirates. Their resources are Ramon’s fast draw and Fatemeh’s uncanny ability to communicate with owls. The question is, will that be enough to save them when a fleet of dirigibles from Czarist Russia invades the United States? 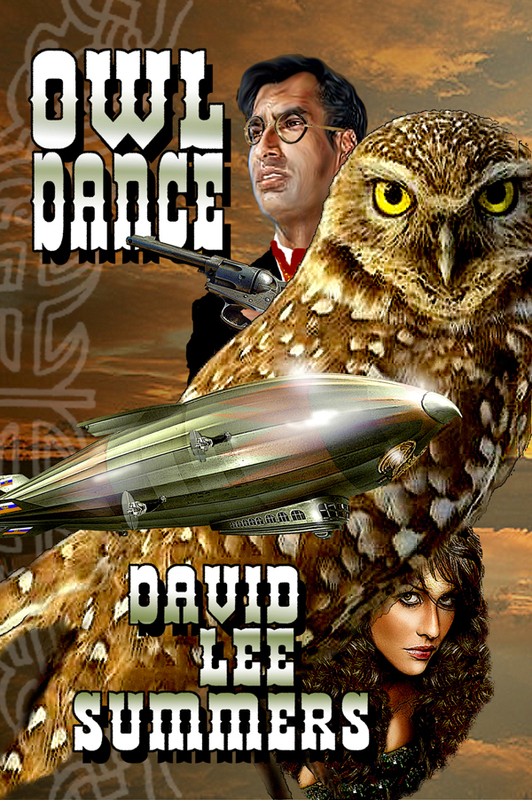 Owl Dance is available at Smashwords. Use the code SSW50 on checkout to get the 50% off discount. It’s 1877 and Russians have invaded the Pacific Northwest and are advancing into California. New weapons have proven ineffective or dangerously unstable and the one man who can help has disappeared into Apache Country, hunting ghosts. A healer and a former sheriff lead a band into the heart of the invasion to determine what makes the Russian forces so unstoppable while a young inventor attempts to unleash the power of the lightning wolves. 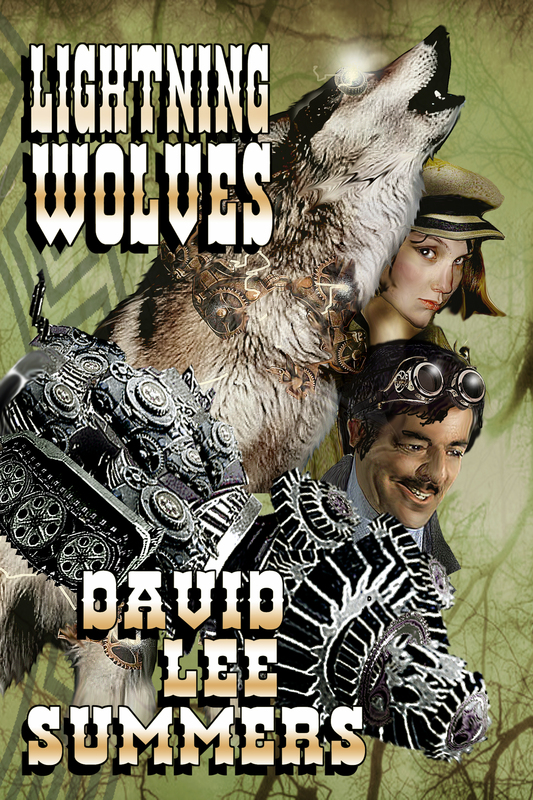 Lightning Wolves is available at Smashwords. Use the code SSW50 on checkout to get the 50% off discount. This week, Smashwords is hosting its annual Read an Ebook Week promotion. Two of my books are available for fifty percent off as part of the event. Revolution of Air and Rust is set during an alternate 1915, where Teddy Roosevelt is building an empire and only Pancho Villa stands in his way. The American Expeditionary Force under the command of General “Black Jack” Pershing has invaded Northern Mexico. Pancho Villa leads his revolutionary army in a desperate raid against the American force only to be outflanked. Just as Pershing’s airships prepare to deliver the death blow, Pancho Villa is transported to a parallel Earth where he finds an unexpected ally and the technology that might just turn defeat into victory. 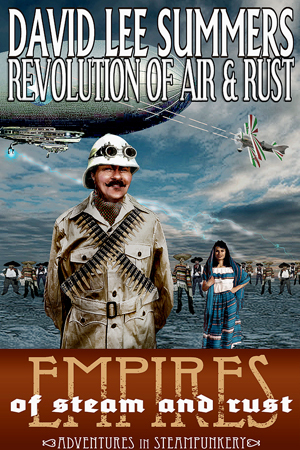 Revolution of Air and Rust is a stand-alone novella set in the Empires of Steam and Rust world created by Robert E. Vardeman and Stephen D. Sullivan. A story filled with military action, espionage and gadgetry that’s sure to satisfy fans of steampunk and alternate history. The book is available for half off until March 8 at http://www.smashwords.com/books/view/254622. Remember to use the code REW50 on checkout. A Kepler’s Dozen is an anthology of action-packed, mysterious, and humorous stories all based on real planets discovered by the NASA Kepler mission. 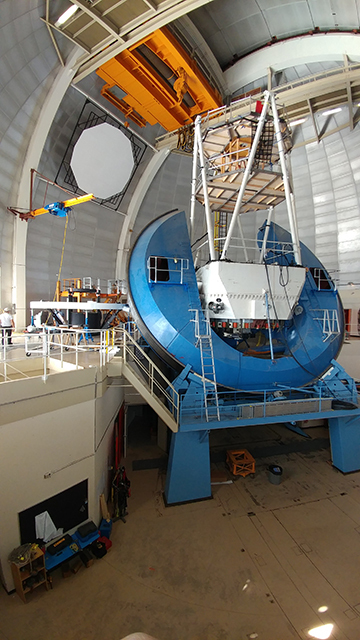 Steve B. Howell, project scientist for the Kepler mission, and I both co-edited the anthology and contributed stories. 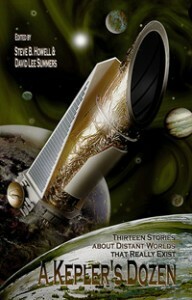 Whether on a prison colony, in a fast escape from the authorities, or encircling a binary star, thirteen exoplanet stories written by authors such as Mike Brotherton, Laura Givens, and J Alan Erwine will amuse, frighten, and intrigue you while you share fantasy adventures among Kepler’s real-life planets. The book is available for half off until March 8 at: http://www.smashwords.com/books/view/325583. Again, remember to use the discount code REW50 to take advantage of the sale! I would like to introduce you to my friend Emily Guido, author of the The Light-Bearer Series. The first novel of the series is Charmeine and Emily is offering a very special giveaway today only. 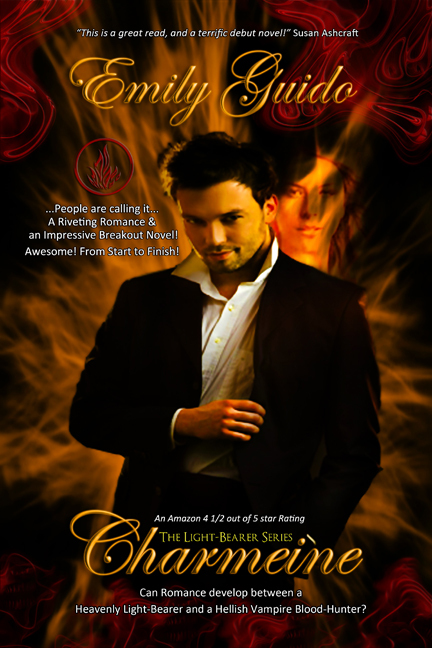 Make sure to read through to the bottom of the post to learn how to get a copy of Charmeine. Emily Guido is a new Paranormal Romance Author. She was inspired to start writing Charmeine because one day she got an idea of two characters that needed to have their story told. Not ever dreaming a week later she would have over a 100,000 words written. When Emily writes, it is similar to you or I watching a movie. She pictures the characters in her head going through vivid descriptions of each scene. There are so many nuances going through her mind that she cannot type fast enough. The novels Mactus, Accendo, Seditious, and Ransom, are the continuation of the wonderful adventures of the inhabitants of The Castle Charmeine! Emily is currently writing Conundrum the Sixth Novel in “The Light-Bearer Series” She works at a college full time, and is pursuing her Master of Business Administration. I recently had a chance to interview Emily and learn a bit more about Charmeine and her approach to writing. Tell me about the novel Charmeine. Charmeine is a novel about an undying love that survives through Heaven and Hell. I wanted to write a story that was fun and fantastical, but also touching. This novel is the very ‘tip of the iceberg’ in “The Light-Bearer Series.” It really introduces Tabbruis (Tab-bree-us) and Charmeine. It starts with them in Heaven and happy, but it suddenly goes to modern times and things are completely different. There is a lot of back story in this short (120 pages), first novel about Tabbruis. He’s been on Earth for 8000 years. Charleen (aka Charmeine) came to Earth in 1997 only remembering the letters C-h-a-r… She was taken in at a local orphanage and struggled to put herself through school and graduate school to become a teacher. She loves children and teaching. When Tabbruis saves her from a Blood-Hunter who wants to take her to the Elder Council for a death sentence, they immediately know something about each other is intensely different. Tabbruis doesn’t let his guard down, but Charleen (aka Charmeine) warms his heart! Finally, they both remember Heaven and Tabbruis melts into Charmeine’s loving arms. However, there is way more to the story, they have to battle Heaven and Hell to stay together and avoid being put to death because their love is forbidden. In the process a lot of surprises and twists and turns come into the story too. Charmeine is a romance first and foremost. 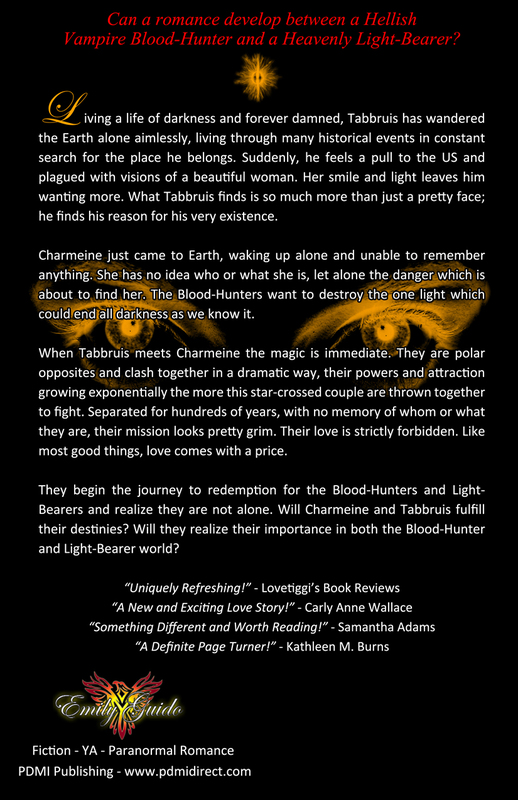 Yes, there Blood-Hunters (vampires) and Light-Bearers (angels) in it, but the love story between these two great characters, Charmeine and Tabbruis are always ill-fated. If you are a sucker for a love story like me, you will have to have some hankies with you. The book can just tug on your heart! I have always had a creative streak in me. I play violin, sing and have acted in musicals. However, I have always been a good writer and never got anything below A’s on my papers through high school and college. I loved romantic literature, especially English Literature. I took a lot of literature courses even though I was a Business Major. It’s kind of funny, my earliest memories is in seventh grade our teacher made us journal during the spring semester. Other kids turned in a thin book maybe twenty papers thick. I turned in a huge three-ring binder. In my journal, I drew pictures (even though I couldn’t draw myself out of a paper bag), taped pictures from magazines in it, made up stupid poetry as well as writing every day. When I turned it in, the teacher’s eyes went wide in wonder; she must have thought I was a book geek to the max. I never thought it was special but during the end of the year party, my teacher went crazy over it and read some of my poems and stories to the class as I sat blushing 10,000 shades of red! I would give anything to have that stupid journal right now, it got lost in growing up sad to say. Tell me about some of your influences. I have loved all the great romance writers William Shakespeare, Bram Stoker, Mary Shelley, James Joyce, Dylan Thomas, Charlotte Brontë, Emily Brontë, Jane Austen, Edgar Allan Poe, Guy de Maupassant, Diana Gabaldon, and most recently Felicity E. Heaton. However, the person who influenced my writing the most is my big sis, Connie. I had six brothers and she and I were the only girls. Connie was diagnosed with Leukemia and couldn’t go to school, so she would stay home and lie in her hospital bed and watch TV. My fondest memories are watching Dark Shadows and All My Children with her while she raved about the hunky men. I didn’t know what in the heck she was talking about, I was too young to know but I didn’t care, I was with my big sis and that was the only thing that mattered. Connie died at 16 leaving a whole in my heart. I’m sure Connie loves my novels. I always think of her. Ya better believe she would have loved the romance and the hunky man candy in this novel for sure. 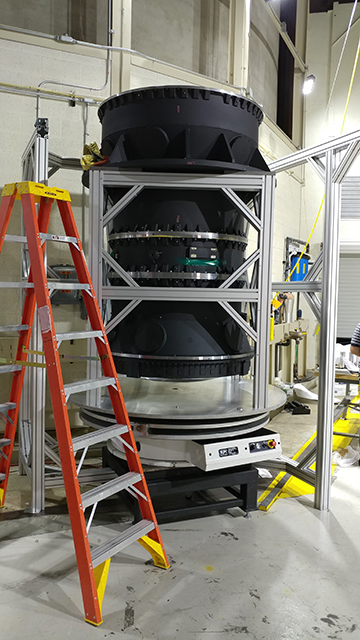 In the world of publishing, I am a newbie! I just started writing Charmeine about two weeks before Thanksgiving 2011. 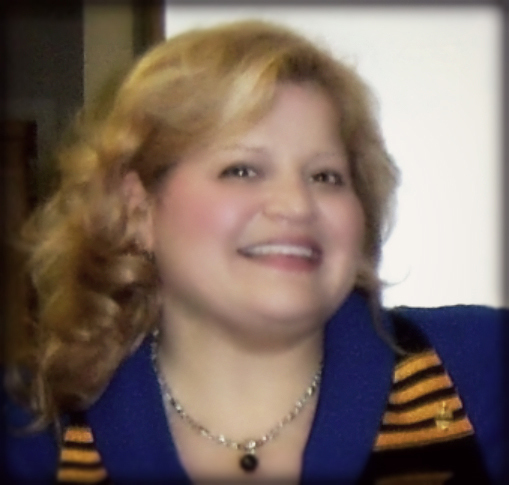 Before writing this novel, I was working full time at a college in New Jersey and going to MBA School full time also along with doing what any woman does to take care of her home and family like dishes, laundry, cleaning and cooking. I am a super busy woman, who always spreads herself too thin, but it keeps me out of trouble! Would you want to go on adventures with Charmeine and Tabbruis? Why or why not? I would LOVE to go on adventures with Charmeine and Tabbruis! They are always fighting a major threat to Humanity and have tremendous skills. They work as a team with their family also. However, Charmeine, for whatever reason, always seems ready to put the metal to the pedal, so to speak. When she is fighting, she is single-minded and thinks of nothing but defeating Evil and Lucifer’s minions. This is such in contrast to her normal personality of love, giving, caring and humor-filled heart. She loves to crack BAD jokes to ease the tension. She is truthful to a fault because she can’t tell a lie. She also can tell when people lie to her. Use the code HB94P on checkout. If you’re late to the party and discovering this after April 19, go get the book anyway! It only costs $3.99!